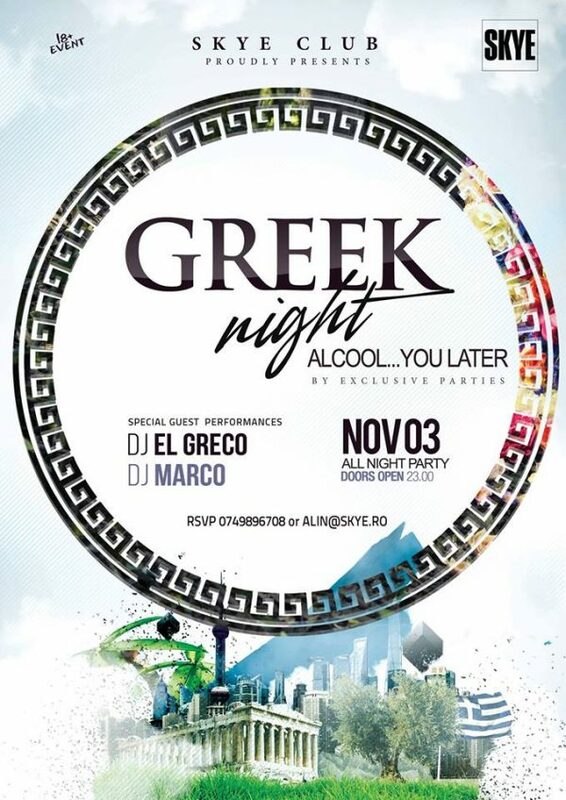 Greek night *alcool you later*@SKYE by exclusive parties | IasiFun - site-ul tau de timp liber! Yes, this Friday we’re on for another greek party. It’s our time, so let’s all playing amazing, vibrating of energy and dance like we own the night. Feel free to release your greek spirit, because it’s time for some serious work out from 11 pm ‘till morning.